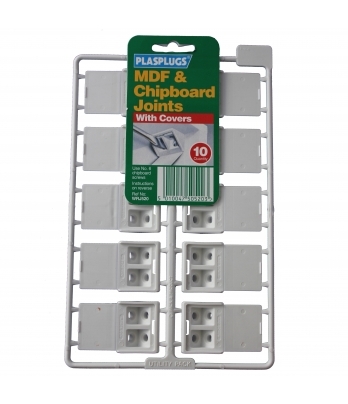 10 Plasplugs White Rigid Joint Blocks With Covers. 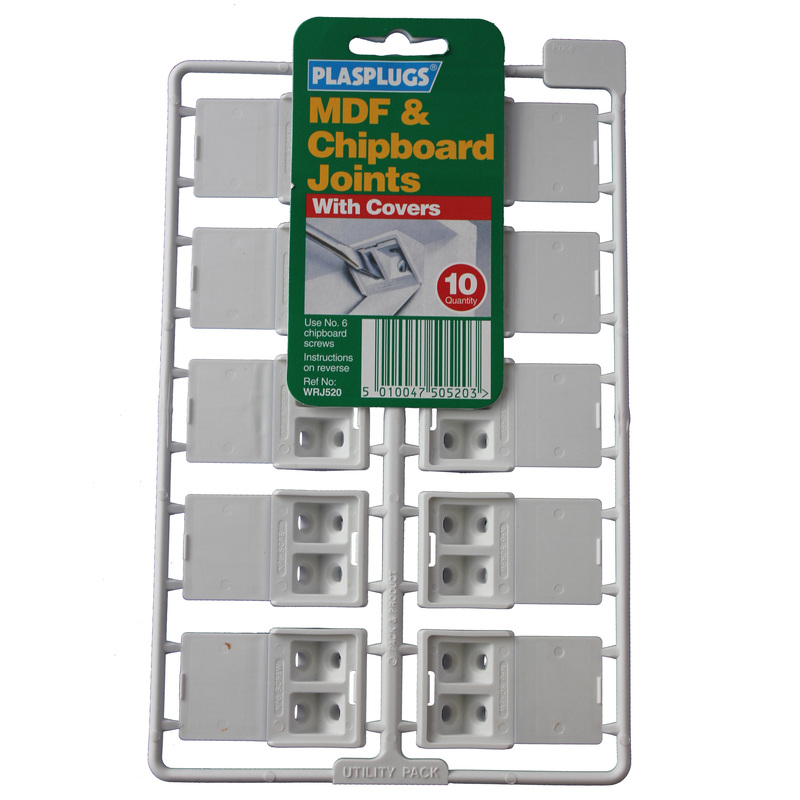 Suitable for use on chipboard and MDF in assembly and joinery applications. Especially useful when assembling carcases can also be used for shelf supports. Use number 6 screws.